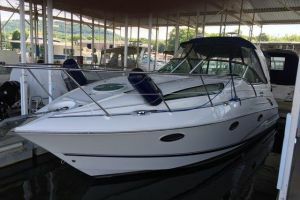 This quality Canadian built boat with a modern express-boat profile, the Doral 350 SC combines a spacious mid cabin interior with a large cockpit to accommodate up to 8 passengers. The layout below decks is arranged with double berths fore and aft, a large, well-equipped galley, a convertible dinette, and a standup head with shower. The Doral 350 SC has more storage space than many boats her size, and three overhead deck hatches provide excellent lighting and cabin ventilation. 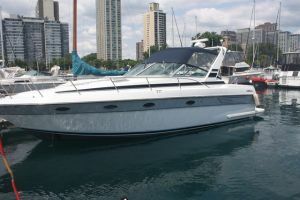 The Doral's spacious bi-level cockpit comes standard with a molded wet bar and a very stylish helm with a wood grain steering wheel and instrument panel. 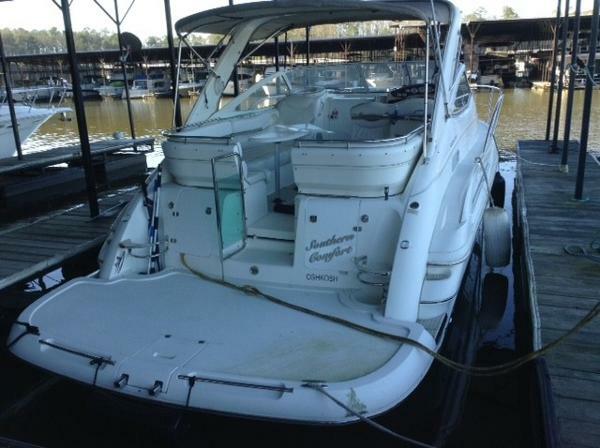 Fender racks were built into the transom, and wide side decks provide secure access to the bow. 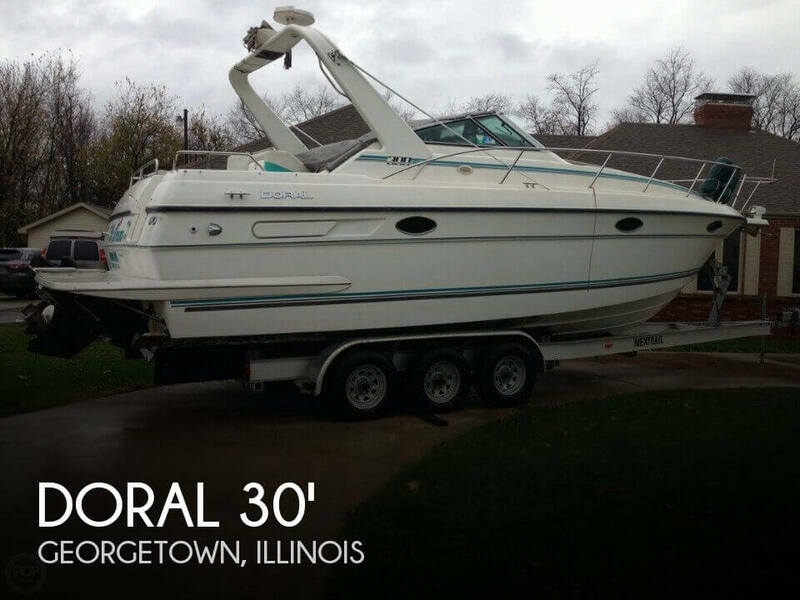 The Doral 350 SC includes side exhausts, a large engine compartment, radar arch, and a foredeck sun pad. 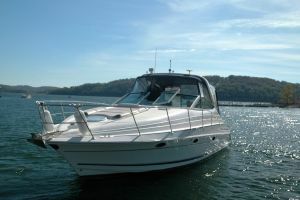 Accommodations: Cockpit features awalkthru transom and largeaft bench seating arrangement. A beautiful dinette table was added for entertaining and meal service. Cockpit wetbar is located toStarboard Side with large sink and built-inIce Maker.Wide walk around to the bowmade easy,once on the bow, you can relax or sunbathe on the oversized bow sun pad.